The United Nations and Pope Francis have aligned their ideology with that of population control, don’t be fooled by their kind way of saying it. “We need at some point to have a limited number of people which is why Pope Francis and his three most recent predecessors have always argued that you should not have more children than you can bring up properly,” a panelist at a Vatican-run workshop on “how to save the natural world” stated on Thursday. The solution mentioned by the panel (shown above) to bringing about ’sustainable development’ was presented by botanist and environmentalist Peter Raven during a press conference that concluded the “Biological Extinction” workshop which took place at the Vatican recently. The panel included: Greg Burke, moderator of panel and director of the Holy See Press Office, Raven, President of the Pontifical Academy of Sciences (PAS), Werner Arber, University of Cambridge Professor Emeritus of Economics Partha Dasgupta, and PAS Chancellor Bishop Marcelo Sanchez Sorondo. According to Raven, the essential part to halting “overpopulation” is that “we need a more limited number of people in the world.” In addition to the aforementioned, Raven stated “the problem is one of inequality,” where the rich use more of the world’s resources than the poor. All panel members conjectured that the survival of Earth is directly linked to the amount of individuals on this planet. The biological extinction workshop drew vast controversy over a particular paper that was authored by the notorious pro-abortion population control advocate Dr. Paul Ehrlich. Previously, we at the Christian Journal have reproved that what is being taught to our children in schools, is the supposition that they won’t be allowed to have children and shouldn’t. 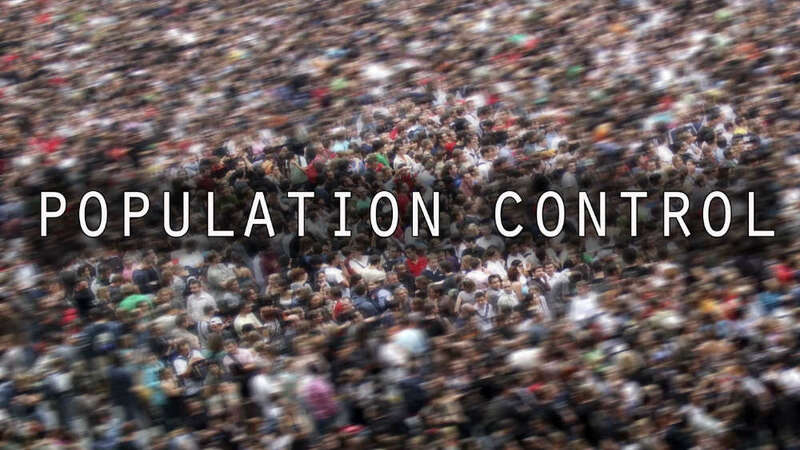 In fact, a prominent environmentalist and professor teaches, that to stop climate change the United Nations must enforce ‘population engineering.’ He states this to manipulate students from having children, all while having his own. Thus, the United Nations is attempting to link the two, which would allow for environmental ‘lawbreakers’ to be met with the same punishments found under Human rights abusers. Sometimes, it’s taxes, other times its regulations. The audacity of the Catholic Church to support such ideology can be understood by the research used to showcase their message. Dr. Paul Ehrlich, the author mentioned above, supports mass murder. In other words, in an interview with The Guardian, Ehrlich, advocated for cutting the world’s population by 6 billion people to bring it down to 1 billion. “A world population of around a billion would have an overall pro-life effect,” The Guardian indirectly quoted Sanford biologist Paul Ehrlich as saying. “This could be supported for many millennia and sustain many more human lives in the long term compared with our current uncontrolled growth and prospect of sudden collapse,” the British daily wrote about its conversation with Ehrlich. Days before the Vatican symposium titled “Biological Extinction” was held – behind closed doors – in Rome, from February 27th to March 1st, two of the key speakers, Dr. Paul Ehrlich and Sir Partha Dasgupta, spoke to The Guardian about the conference. “Biologists say half of all species could be extinct by end of century,” blared the headline, warning that the largest “extinction event” in millions of years will lead to “the eradication of most other life forms.” According to Ehrlich, the ecological catastrophe is man-made, mainly by rich western countries and will only be prevented by the radical social and economic changes needed to save the planet’s biosphere. The radical ideology being pushed by the panel, the Pope, the United Nations, educators, and prominent scientists, foretells what is to come upon the following generations, severe population control. What could quite possibly start as regulations and taxes, could quickly escalate into the sterilization of billions of people. Jan Bentz. “Pope has urged having fewer children if ‘you cannot bring them up properly,’ claims Vatican academy member.” Life Site. . (2017): . . The Editors. “CORRECTION: Vatican academy member misquoted in story on Pope Francis.” Life Site. . (2017): . .
Jeanne Smits. “Pro-abort Vatican speaker: Decreasing population by 6 billion would have a ‘pro-life effect.’.” Life Site. . (2017): . .